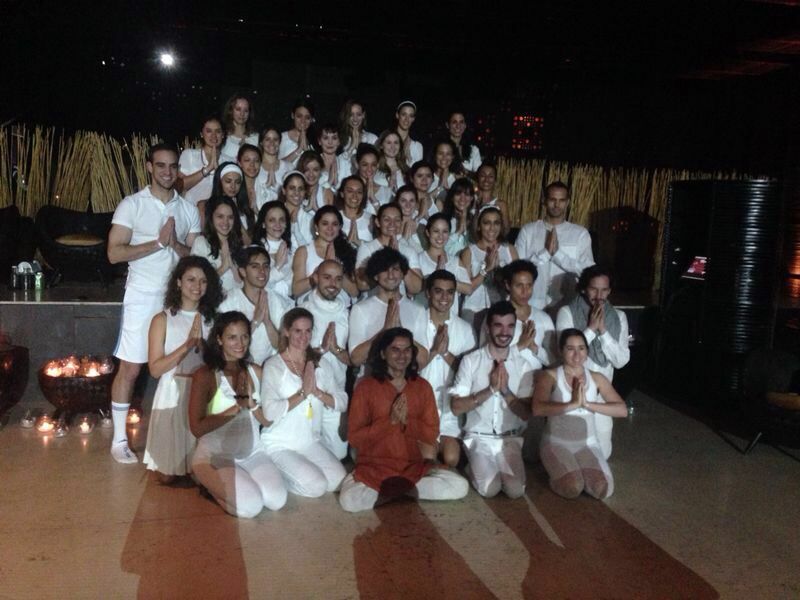 How could I be helpful judging the final exam of a yoga certification in Mexico? 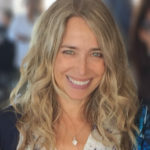 There would be barriers of language and of the technique between our seemingly very different practices, mine being Pilates. But when Marcos Jassan asks, one accepts with an understanding that he is guided by a deep understanding of purpose; and if that purpose is not immediately obvious, it will become so. 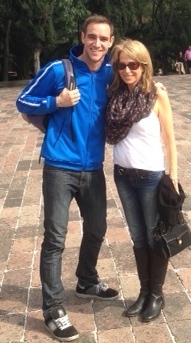 My husband and I arrived in Mexico City in the afternoon before the exam. Marcos was busy teaching, and he asked his friend Benji to greet us and show us the city. After a wonderful day with Benji, we meet Marcos for dinner, along with the master coach at OM Yoga, Alejandro, with whom we soon become fast friends. After dinner, we are invited back to Marcos’ apartment where he leads me into the kitchen and opens a refrigerator fully stocked with organic food he has freshly made for our visit. He says that it will be packed and sent to follow us on the rest of our journey in Mexico. Before I can find words of appreciation, his apartment quickly fills with the buzzing of people – yoga coaches, planners, and friends – working to finalize arrangements for tomorrow’s event. I am told that everyone will be in white, and I breathe a sigh of relief that I happened to have packed a white dress. 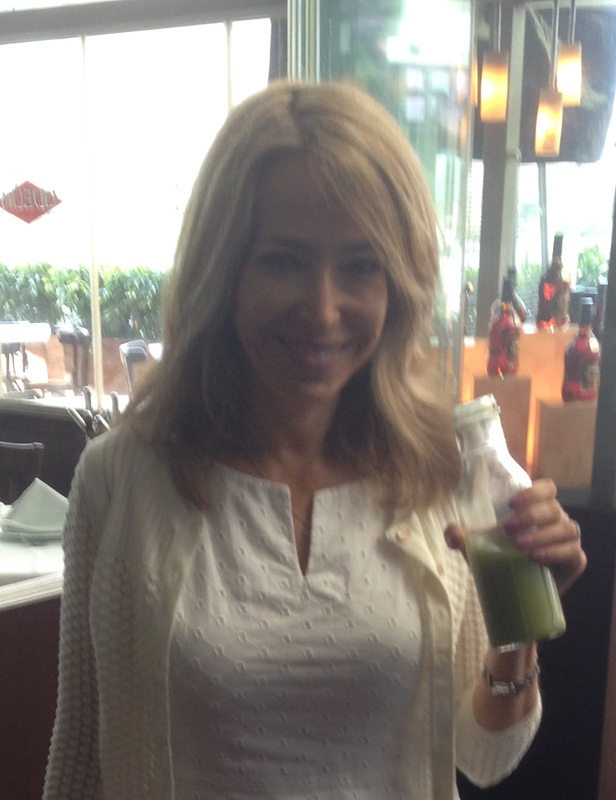 At 8:00 am the next morning, Marcos picks us up at our hotel and hands us a bottle of a homemade organic green smoothie – just the breakfast I have at home and was worried I would miss in Mexico. When we arrive, I am transported to another world where an enormous room is flanked by two ponds, each moving with a quiet, gentle rhythm. There are bunches of white flowers grouped effortlessly, and what seem like hundreds of white votive candles, stacked at different levels, dimly lighting the room. Along the sides of the room hang OM Yoga scrolls that are easily fifteen feet high, and counters filled with glass bottles of brightly colored juices promise refreshment. We are led past the colorful yoga mats that line the white marble floor in neat alternating rows to the back of the room and up a case of stairs to the judging platform. We are given clipboards, an evaluation sheet for each student, and pens. Soon the room is filled with beautiful young people, all dressed in white. They hug each other and take their nervous chatter to the mats. A gentle, chanting, music begins to play, and they seem to focus inward to ready themselves in a way that feels familiar to me. Marcos addresses them, and as his energy springs out to the room, they look at him with a love and appreciation that reminds me of how I feel when my teacher, Rael Isacowitz, speaks. I feel a connection with the students and compassion for how they must be feeling today and some understanding of the depth of their journeys. The students are led through a warm-up, and then the first person stands to teach a pose to the class. Her photo appears on each of the big screens, along with information about what she will be teaching and some personal data. The Spanish disappears for me, just as Marcos had predicted. Although I don’t understand the details of what is said, I find myself easily filling each evaluation page with what I hope will be helpful comments. As each student takes a turn, I watch how she or he moves and directs his or her energy to the class. Are they talking or teaching? How do they use their eyes, their voice, their touch, and their arms? Do they move through the room to connect or does it seem to be a distraction? Do they share information to give a deeper understanding or do they hide behind explanations in lieu of connecting with the class. I feel great affection for each student and am moved by the beautiful commonality among people who work with deep purpose in a mind-body practice, regardless of what that practice may be. The exam continues for almost five hours and I put my heart into each evaluation. Each of the students maintains focus and energy as they perform the poses that are being taught by their peers, and each musters courage when it is their turn to stand and teach. 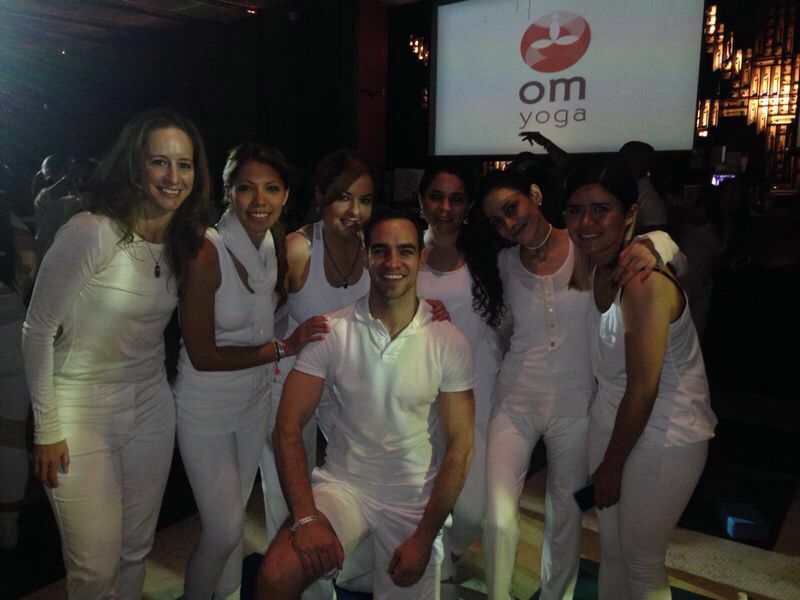 Marcos reaches beyond teaching yoga, bringing his students an understanding of how to teach with dedication and sincerity, and I realize that my role here today springs from those shared values. After the last student has taught the class, relief sweeps through the room and the steady, focused energy quickly transforms to joyous hugs and photos. 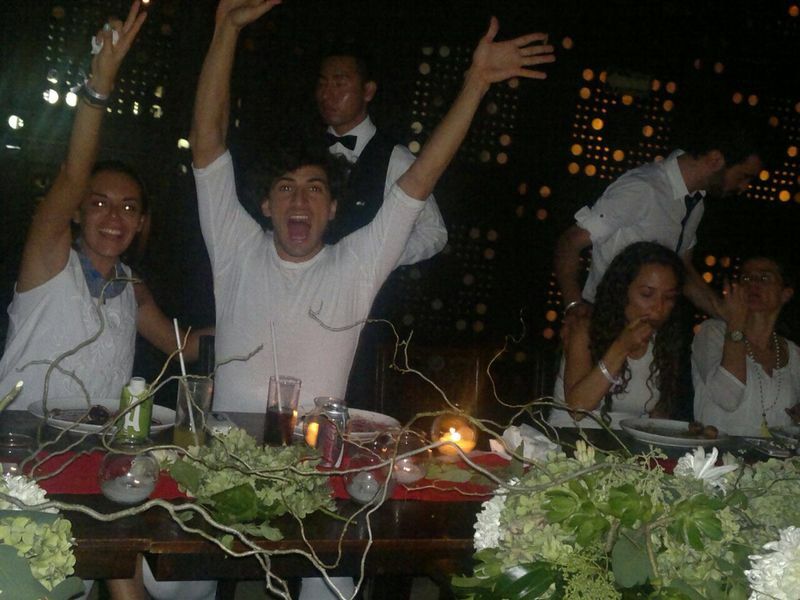 There is a beautiful celebratory banquet, and the students relax, eat, chatter, and laugh. I look around the room and feel a connection to each of them. I had looked into their hearts but had been invisible to them, or so I thought. Following lunch there is a presentation of certificates. The students and their coaches sit in a circle and Marcos calls each to him, one-by-one. 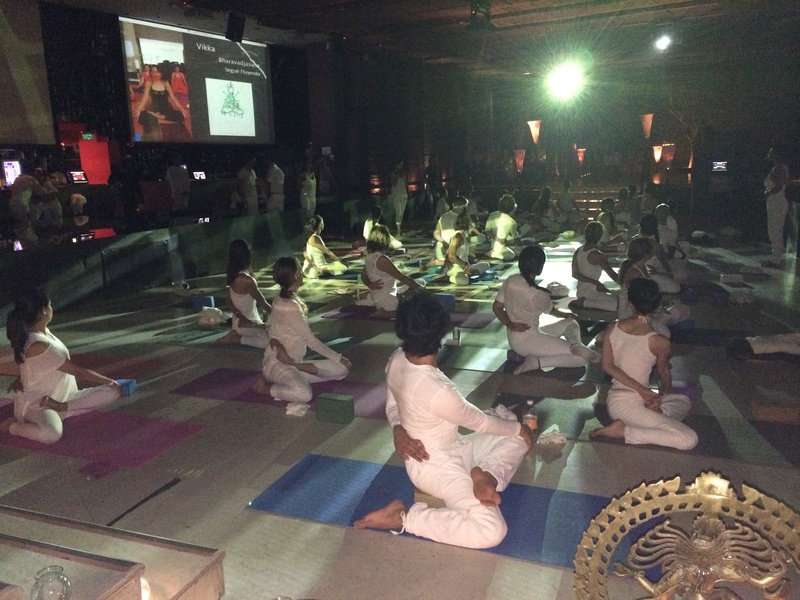 As they approach him, their photo appears on the screen along with a personal message about their journey at Om Yoga. If they passed they are handed a certificate along with a bottle that contains the judges’ evaluation forms, “a message in a bottle for each”. If they did not pass, they are given the bottle of feedback, along with words of encouragement about their next steps. Each person, regardless of whether or not they passed, addresses the group with love and appreciation. When they return to their seats it is not obvious who has passed and who has not. Everyone seems comfortable, happy, and hopeful in this tightly-knit community. The celebration continues into the night and I am deeply moved by the affection and love that is shown to me by everyone. I do not practice yoga or speak Spanish, but I understand the heart of a teacher, and mine is full of encouragement, love, and compassion for all those who teach and learn from a place of service and love. Beautifully written! 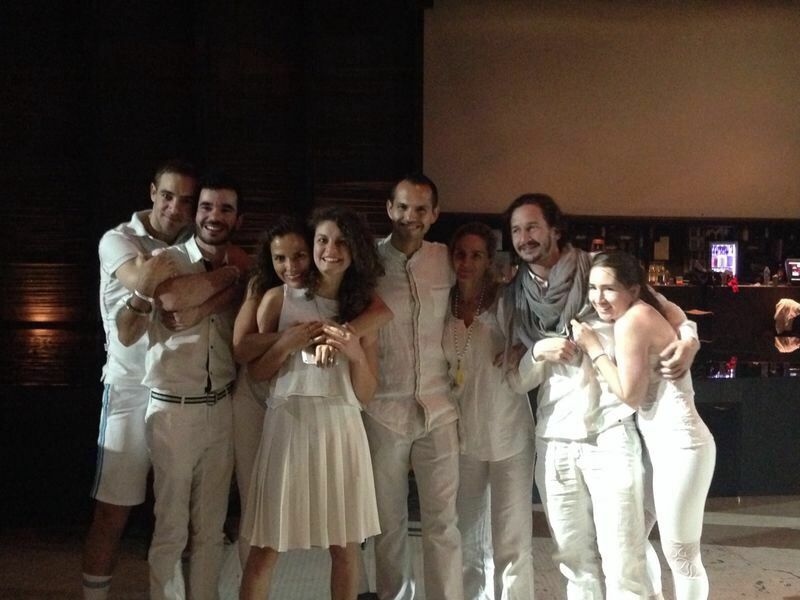 Congratulations on being part of such a nourishing and sincere experience. Please extend my admiration to OM Yoga. What a great summary of such a great an emotive day. Thank you very much Julie for your presence, your words and your comments. We are really happy that our dearest “Maestro Marcos Jassan” had gifted us with so many unforgettable surprises.